The magazine Our Wisconsin has several pictures of rural churches. As does the magazines Reminisce and Country-The Land and Life We Love. 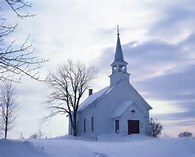 There are few scenes more elegant and heart-warming than a country church set against a snowy countryside. We have many in our southwestern part of Wisconsin. Utica Lutheran Church along Highway 27 about half way between Rising Sun and Mt. Sterling in Crawford County is one such graceful setting. The church was dedicated on May 19, 1881, making it 135 years old. It is at typical Norwegian Lutheran Church. Another such id yllic country church locale is the Lutheran Church my mother, Martha Lewig, attended as a girl-up to about age 16. St. John’s Lutheran Church is not in Wisconsin, but over near Alpha, in northeastern Iowa in Fayette County. 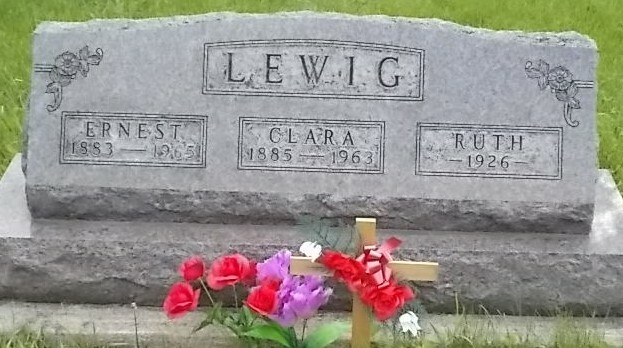 My grandparents, Ernest and Clare Lewig are buried in the nearby Stapleton Cemetery. Interred next to them is their baby that died at age 9 days. It would hard to find a more serene and peaceful spot on Earth, and now in the dead of winter, completely blanketed with snow. All the crops are in now, the election is over, and the countryside is dormant. It’s a good time to take stock of things, how life is so dear and precious. We’ve had five funerals in two weeks at our Church, St. Mary’s, here in Tomah, and another in a Lutheran Church up in Kirby, 8 miles to the north. Range in age from 43 to 96. Life is exquisite but uncertain. Reminds us that we are all one heartbeat away from eternity. We are approaching the shortest day of the year, the winter solstice, right around December 21. I saw the sun go down at 4:19 three nights pass. Beautiful full moon rising in the east. Sun didn’t come up until past 7 AM this morning. About 15 hours of night, and 9 hours of daylight. Lake Tomah froze on December 8. It is the quiet time of the year. A good time for reflection.